← Scripts and Sanity, Workshops and Wow! I am very grateful for the strong and extremely structured foundation I received when I first entered the dance world in SL. Even now, I may grumble at times (“but the show isn’t for 2 months!!”) . In truth, the experience is generally more stress free because of better time management, planning, and preparation. Over the years, I learned much from my mentor. I also learn and absorb from everyone I meet, whether a seasoned dancer or brand new to the stage. Last but not least, I learn a lot on my own – trying new things, finding what methods click with me, and valuing both my successes and the “omg, toss that dance in the closet” acts. I am a firm believer of questioning everything and finding what works best for YOU. That being said, I will share and continually update the information here which may be helpful to you… and a reminder to me Over time, it will fill out and become more structured, but we must always begin at the beginning (except when it comes to dessert before dinner). Shall we? Note: these are my personal thoughts. They may evolve over time and you are free to disagree and disregard any of them. My personal ultimate desire when creating is for the audience to be swept up in a performance, to lose all track of time, to feel whatever I’m trying to convey – interpreting it in a personal way to them. In these moments, it is almost as though you can see the dancer breathe…it takes on a real/surreal quality. This is magic to me. Everyone has their own method of creating. Personally for me, as a woman, I like to find my costume first, or something with a similar feel of movement. Animations can appear very different if you are wearing a custom avatar, compared to a flowing skirt, compared to a hot pink street outfit with neko boots and wild hair. After roughing out a costume, then I start with the animations and choreography, then the set, then the movers, then the effects. Usually – sometimes I even break my own “rules” and create the set first! I follow my inspiration. Transitions in music AND choreography are two things that help keep the audience engaged. By transition in music I refer to the “changes”, the rises and falls..the changes in the chorus, the tempo. If you are choreographing to a song that is very “flat”…sounds almost exactly the same all the way through, it can be harder to keep the audience engaged. Not impossible, but harder. Costume – costumes should stand out from the set. Camouflaged dancers are generally not a good thing unless you’ll be doing special effect costume changes during your set. If your costume is complex, go for a set with “simple” background. If your costume is simple, go for a more complex background to highlight it. If you have a very dark background – go for white or bright colored costumes, even neon with a bit of glow, or even high color, bright, complex patterns. Contrast is generally a wonderful thing – which includes sets, costumes, colors, and patterns. Put yourself in the eyes of the audience. Where will their eyes be drawn to, follow? I love using google for color palette ideas, similar to the paint cards at the store. They can give you ideas for primary colors, accent colors, etc. Google “color inspiration” for ideas. 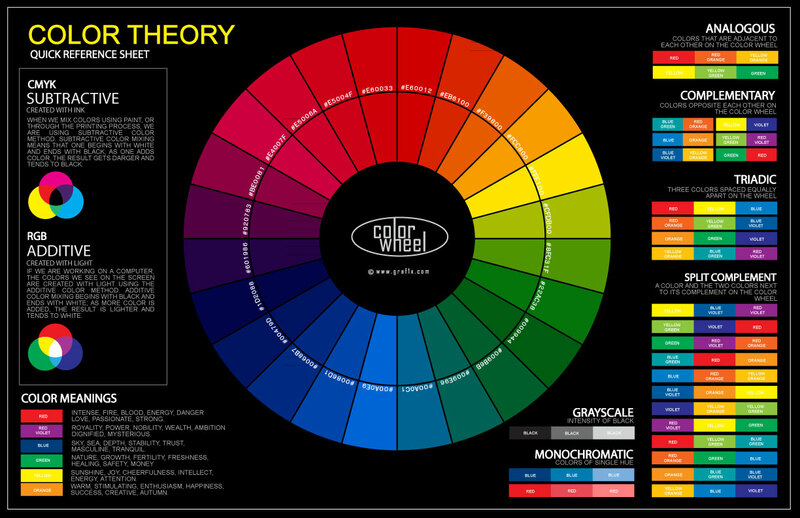 Don’t forget the color wheel for contrasting colors – look to the opposite side of the wheel for contrasting colors. When building, where do you want the audience’s eye focused? Keep this in mind, keep stepping back. Often less is more. A busy set can really work for some dances, or may create a distraction for the audience trying to follow the dancer. Consider where your dancers are dancing. I usually use a grid when I create the set, which has circles in the middle. Generally the audience will have the best experience when they can set their cam and watch the performance without “losing” dancers to the far edges of the set or having to cam from so far back they can’t see the nuances of the choreography. I try to keep the majority of my dancers in the middle third of the stage. I may start them from the sides, but generally pull them in. Don’t forget – if the audience has to move their cam around they’ve lost their absorption in the dance AND the animations generally appear out of sequence temporarily when they move their cam. Please feel free to submit your own thoughts in comments!